Part 4 – Will the World End or Be Renewed? Click on the following links for Part 1, Part 2, and Part 3. Another question that comes up when we consider the end times is: Will the world as we know it end, or will it be renewed? Those who are my age or older will remember the days of the Cold War, when the fear and realization that the world could end due to nuclear warfare seemed pretty widespread. Since the fall of the USSR and communism in Eastern Europe, though, fears of nuclear annihilation have mostly subsided, the attempts of North Korea and Iran to develop nuclear weapons not withstanding. Along with this a new optimism seems to have arisen about the longevity of our world. 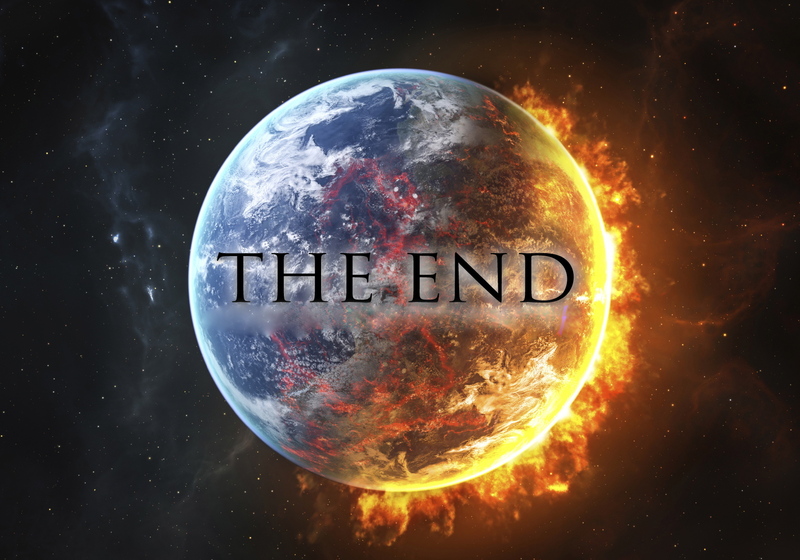 Christian books published in recent years teach that the old pessimism about the world ending is misguided and that we can expect our earth to be here for, well…eternity…or at least a very long time. A few examples are The Sacred Romance and The Journey of Desire (now simply Desire) by John Eldredge and Heaven by Randy Alcorn, all of which teach that God is not going to destroy the world, but instead will renew and restore it. The question, though, is: What does the Bible say? None of the books I mentioned really give a biblical rationale for their view, or deal with passages which seem to give a different picture. This is unfortunate. We can’t just engage in wishful thinking. We need to investigate God’s Word in order to see what He has to say about this. In today’s post I will share several passages and then comment on their significance toward the end. As we’ve said previously, one good place to start is with the words of Jesus himself, who is the very Word of God in flesh. What did Jesus have to say about this topic? So if taken literally verse 29, especially with its language about stars falling from the sky, seems to describe at the very least a cataclysm in the heavens at the time of Jesus’ second coming, which is described in verses 30-31 (for more on these verses, see Parts 1 and 2 of this series, linked above). Another New Testament passage that seems to speak very clearly on this subject–probably the most clearly of all–is 2 Peter 3:3-13. I’ve placed the most pertinent verses below in bold type. The present heavens and earth are reserved for fire, being kept for the day of judgment and the destruction of the ungodly. This is a fire of judgment (verse 7). The heavens will disappear with a roar, the elements will be destroyed by fire, so that the earth and everything in it will be laid bare (verse 10). Everything will be destroyed (verse 11). The words “destroyed” and “destruction” appear four times in these 11 verses. Now, 2 Peter is one of the more obscure books of the Bible. I would wager that many people have never read it, or even if they have, it may not be the first Bible book that comes to mind when they think of passages they’ve memorized (though 2 Peter 1:3-9 is an awesome passage about our inheritance in Christ–you should learn it if you haven’t already!). 2 Peter may also seem obscure because it was one of the last books to be accepted into the Bible, and there have always been questions, even in the early church, about whether or not it was really written by the apostle Peter. However, there’s no conclusive evidence Peter wasn’t the author. Moreover, since the Holy Spirit led the early church to include 2 Peter in the canon of Scripture, we can rest assured it is no less inspired and authoritative than the rest of the Bible. Nevertheless, perhaps because of 2 Peter’s obscurity, its testimony has not always been taken into account by those considering this topic. None of the books I mentioned above by John Eldredge and Randy Alcorn even mention these verses or engage the challenges they raise to these authors’ view that the world will not end. Yet since these verses are part of Scripture, they need to be considered. The language of a new heaven and a new earth here mirrors one of the statements we read in 2 Peter 3: “But in keeping with his promise we are looking forward to a new heaven and a new earth, the home of righteousness” (verse 13). So we see a common thread between 2 Peter and Revelation. 24 See, the Lord is going to lay waste the earth and devastate it; he will ruin its face and scatter its inhabitants — 2 it will be the same for priest as for people, for master as for servant, for mistress as for maid, for seller as for buyer, for borrower as for lender, for debtor as for creditor. 3 The earth will be completely laid waste and totally plundered. The Lord has spoken this word. 4 The earth dries up and withers, the world languishes and withers, the exalted of the earth languish. 5 The earth is defiled by its people; they have disobeyed the laws, violated the statutes and broken the everlasting covenant. 6 Therefore a curse consumes the earth; its people must bear their guilt. Therefore earth’s inhabitants are burned up, and very few are left. The floodgates of the heavens are opened, the foundations of the earth shake. 19 The earth is broken up, the earth is split asunder, the earth is thoroughly shaken. 20 The earth reels like a drunkard, it sways like a hut in the wind; so heavy upon it is the guilt of its rebellion that it falls — never to rise again. 21 In that day the Lord will punish the powers in the heavens above and the kings on the earth below. 22 They will be herded together like prisoners bound in a dungeon; they will be shut up in prison and be punished after many days. 23 The moon will be abashed, the sun ashamed; for the Lord Almighty will reign on Mount Zion and in Jerusalem, and before its elders, gloriously. a day of clouds and blackness. Like dawn spreading across the mountains a large and mighty army comes, such as never was of old nor ever will be in ages to come. 3 Before them fire devours, behind them a flame blazes. Before them the land is like the garden of Eden, behind them, a desert waste — nothing escapes them. 4 They have the appearance of horses; they gallop along like cavalry. 5 With a noise like that of chariots they leap over the mountaintops, like a crackling fire consuming stubble, like a mighty army drawn up for battle. 10 Before them the earth shakes, the sky trembles, the sun and moon are darkened, and the stars no longer shine. 11 The Lord thunders at the head of his army; his forces are beyond number, and mighty are those who obey his command. The day of the Lord is great; it is dreadful. Who can endure it? All these passages from the Old Testament contain imagery that speaks of judgment coming on the earth in the form of signs in the heavens–the sun and moon being darkened, and stars falling or going out (similar to that in Matthew 24:29), as well as destruction coming on the earth similar to what we see in 1 Peter. In this regard Isaiah 24 is the most striking. I quoted some of its verses above but the entire chapter is worth reading to get the full impact. Likewise in Isaiah 65:17-19 we find language about a new heaven and a new earth identical to that which we see in 2 Peter 3:13 and Revelation 21:1. No doubt Peter, and John (who wrote Revelation), were guided by these words from Isaiah (John of course, was also speaking about a personal revelation he had from Christ himself). A theme we observe in many of these verses is that of the “day of the Lord,” a day on which God finally comes to judge the wicked and vindicate the righteous (i.e., those who have remained faithful to God). We see this theme also in 2 Peter 3 and in other passages we’ve already examined like 2 Thessalonians 2:1-12. It is a day of judgment but also a day on which God’s people are vindicated and rescued from evil once and for all. The signs in the heavens in verse 29 refer, then, to the end of the world. Judgment comes on the nations of the earth, while the people of God are gathered from the four winds to meet Jesus in the air and be taken to the new earth. This is the event commonly known as the rapture (for evidence of this claim, see Parts 1-3 of this series). I’ve made it clear in this series that I hold to a post-tribulation rapture view. Now, there are many post-tribulationists who believe that following verse 31, after the angels gather God’s people from the ends of the earth to meet Jesus in the air, Jesus brings them right back down again to inaugurate the millennium, his 1000-year reign on the earth, spoken of in Revelation 20. Now, this could be the case. However, it doesn’t make a lot of sense to me that, following signs of destruction in the heavens, Jesus would rescue his people in the rapture, only to turn around again and bring them back to the earth for the millennium. In Matthew 24:29 the heavens seem to be breaking up (stars falling, the sun and moon no longer giving their light). A cataclysm is coming on the world. In verses 30-31 Jesus comes on the clouds of heaven to take his people away. And that appears to be the end of the story. The rest of Matthew 24 is explanatory material giving more information and admonitions about certain aspects of what he’s already said, but the narrative of end-time events ends with the rapture in verse 31. The same is true in the Mark and Luke versions of the passage. 16 For the Lord himself will come down from heaven, with a loud command, with the voice of the archangel and with the trumpet call of God, and the dead in Christ will rise first. 17 After that, we who are still alive and are left will be caught up together with them in the clouds to meet the Lord in the air. And so we will be with the Lord forever (emphasis added). I will deal with the millennium in another post. Suffice to say for the moment that, while I do hold to a post-tribulation rapture position, I don’t believe the rapture will be followed by the millennium. Instead, as I’ve already said, I believe it will occur as this world is meeting its end and the new heaven and new earth spoken of in Isaiah 65:17, 2 Peter 3:13, and Revelation 21:1 is being created. Let me add parenthetically: I don’t believe the end of the world will come as the result of something like a nuclear holocaust. For one thing, a cataclysm like that could possibly destroy the world, or at least render it uninhabitable; but it wouldn’t be able to destroy “the heavens”. I believe the destruction of the world described in the Bible will come about as a sovereign act of God intervening in history and the affairs of the world, not as the result of anything humanity does. Now, someone reading this may feel I’ve made an awfully dire prediction for the world. And you’re right: I have. I believe it is based on what is taught in the Bible. A message of judgment it not popular these days. Everyone wants to hear only comforting messages about God. People want to hear about God’s love, not his wrath. God is a loving God, but he is serious about dealing with sin and evil and evildoers. The Bible is clear that the wrath of God is coming on the world (see John 3:36, Romans 1:18, Romans 2:5-8, Ephesians 5:5-6, Colossians 3:5-6, 1 Thessalonians 1:9-10, 1 Thessalonians 5:8-9). However, in his love, God has provided a way of escape from his wrath. That way of escape comes through giving our lives to Jesus Christ. Just as Noah built the ark to save his family from the flood, so God has given his Son as a way of escape from the judgment coming on the world. I implore you to place your faith in Christ so you can know that you will be able to go with him when he returns. Regarding the passages I’ve cited which speak of the destruction of the heavens and the earth, there are some who interpret them symbolically rather than literally. I will share that point of view and respond to it in my next post. In that post I will also share a couple other passages of Scripture which are interpreted to reveal a different outcome for the world when Jesus returns than the one I have professed here. So I hope you will stay tuned. If you’ve found this post or this series helpful, please share it on your social networks via the Share buttons below. Thanks!! This entry was posted in Christianity, end times, eschatology, faith and tagged 2 Peter 3, end of the world, end times, eschatology, Isaiah 24, Matthew 24, post-trib, rapture, restoration of all things, Revelation 21, signs of the times, tribulation on March 13, 2014 by musicman707. Following the response to my last post I thought it would be worthwhile to share a few more reasons why I don’t believe the rapture will come before the tribulation. In the process we will examine some Scripture from Paul’s letters to see what they have to say on this question. 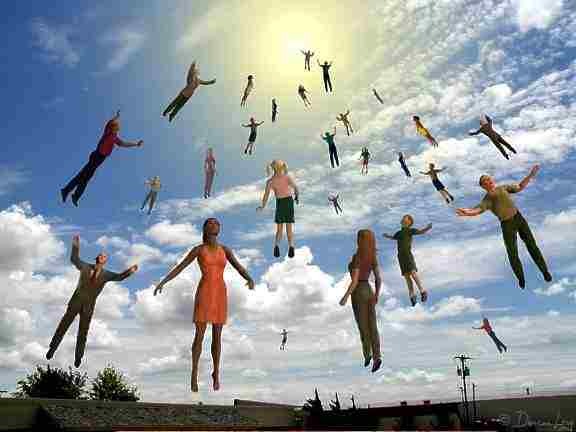 1) There is no statement anywhere in the Bible that the rapture will take place before the tribulation. Likewise, in biblical descriptions of the end times, there is no mention of a rapture before the tribulation. Take Matthew 24 (and its parallels in Mark 13, Luke 17:20-37 and Luke 21:5-36), for example. These passages describe the period leading up to the tribulation, the tribulation itself, and the time right after the tribulation. Nowhere in the description of events prior to the tribulation do we see anything resembling a rapture. The only place in Matthew 24 that sounds anything like the kind of in-gathering of Christians we think of as the rapture is at the end of the passage, in verses 30-31 (see also Mark 13:26-27). In these verses we’re told that after the tribulation “he [that is, Jesus] will send out his angels with a loud trumpet call, and they will gather his elect from the four winds, from one end of heaven to the other” (Matt 24:31). Those who believe in a pre-tribulation rapture will say these verses are not about Christians because they refer to the “elect.” Pre-tribulationists say the word “elect” here refers to Jews who converted to Christianity after the (pre-trib) rapture. However, this interpretation is a function of their theology and not based on the text itself. Outside of these Gospel passages, every other occurrence of “elect” in the New Testament refers to Christian believers. And so it must in these passages as well, for there is nothing linguistically or contextually that calls for any other interpretation. Those who believe in a pre-tribulation rapture also claim that everything in Matthew 24 takes place after the rapture, but there’s nothing in the context to suggest that. The disciples ask in verse 3 what will be the sign of Jesus’ return and of the end of the age, and the rest of the chapter is his answer. Nowhere does he tell them “but you don’t have to worry about any of this because you will be raptured out.” He is speaking to his disciples, after all. 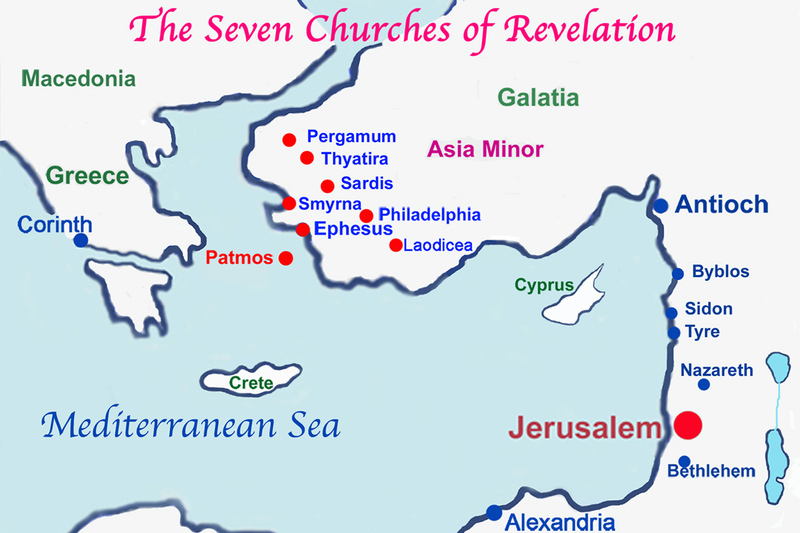 If anybody deserved to be raptured before the tribulation, it was the twelve. If, as the pre-tribulationists argue, modern-day believers should be saved from the tribulation, then how much more did Jesus’ twelve apostles deserve it? If anyone deserved to be saved from the tribulation, it would be the apostles. If Jesus didn’t tell them they’d be raptured out before then, why should we expect it? There is simply no statement anywhere in the Bible that the rapture will take place before the tribulation. Not in the New Testament, and not in Old Testament prophecy. 2) “But,” someone will reply,” what about the words of Paul? He described a pre-tribulation rapture didn’t he?” This is a fallacy of the pre-trib interpretation as well. Let’s take a look at a couple passages. Those who believe in a pre-trib rapture assume this passage describes the rapture as it will occur before the tribulation. However, I assert that the events described in this passage are the exact same ones we see in Matthew 24:30-31 and Mark 13: 26-27. Matthew 24:30-31 says: “At that time the sign of the Son of Man will appear in the sky, and all the nations of the earth will mourn. They will see the Son of Man coming on the clouds of the sky, with power and great glory. And he will send his angels with a loud trumpet call, and they will gather his elect from the four winds, from one end of the heavens to the other” (emphasis added). Matthew 24:30 describes the Son of Man (Jesus) coming on the clouds of the sky. 1 Thessalonians 4:16 describes the Lord (Jesus) coming from heaven. Sounds mighty similar. Matthew 24:30-31 describes Jesus coming with his angels and a loud trumpet call. 1 Thessalonians 4:16 describes Jesus coming with an archangel (indicating the presence of angels) and a trumpet call. Again, note the similarities. Matthew 24:30-31 describes Jesus coming on the clouds and his angels gathering his elect (that is, Christian believers, as we already established above) from the four winds, from one end of the heavens to the other. 1 Thessalonians 4:16-17 describes Jesus and an archangel (and presumably other angels) coming, and believers (both those who have died and those who are still alive) being caught up and meeting him in the air. Matthew 24:31 says Christians will be gathered from the four winds, from one end of heaven to the other. Jesus is there in the sky. Christians are gathered to the heavens, and presumably they are gathered to Jesus. The angels gather believers and bring them to Jesus. This sure sounds a lot like being “caught up together…to meet the Lord in the air,” which is the language we find in 1 Thessalonians 4. The two passages are describing the exact same event–the rapture–and Matthew 24:30-31 makes it clear this happens after the tribulation. Since the four Gospels sometimes differ with each other in details, and Kings and Chronicles also differ from one another in places, it shouldn’t surprise us if the Gospels and Paul seem to describe the rapture slightly different, too. Maybe it is true the Gospel writers believed the angels were going to gather Christians, while Paul’s understanding was that Jesus himself would do it. Nevertheless, both accounts speak of believers meeting Jesus in the air. They are still describing the same event, maybe in slightly different ways. I myself don’t see the descriptions as being substantially different. Concerning the coming of our Lord Jesus Christ and our being gathered to him, we ask you, brothers, 2 not to become easily unsettled or alarmed by some prophecy, report or letter supposed to have come from us, saying that the day of the Lord has already come. 3 Don’t let anyone deceive you in any way, for that day will not come until the rebellion occurs and the man of lawlessness is revealed, the man doomed to destruction. 4 He will oppose and will exalt himself over everything that is called God or is worshiped, so that he sets himself up in God’s temple, proclaiming himself to be God. 5 Don’t you remember that when I was with you I used to tell you these things? 6 And now you know what is holding him back, so that he may be revealed at the proper time. 7 For the secret power of lawlessness is already at work; but the one who now holds it back will continue to do so till he is taken out of the way. 8 And then the lawless one will be revealed, whom the Lord Jesus will overthrow with the breath of his mouth and destroy by the splendor of his coming. 9 The coming of the lawless one will be in accordance with the work of Satan displayed in all kinds of counterfeit miracles, signs and wonders, 10 and in every sort of evil that deceives those who are perishing. They perish because they refused to love the truth and so be saved. 11 For this reason God sends them a powerful delusion so that they will believe the lie 12 and so that all will be condemned who have not believed the truth but have delighted in wickedness. Paul says here he is writing “concerning the coming of our Lord Jesus Christ and our being gathered to him.” This is clearly language describing the rapture. And notice what Paul says about it: “that day will not come until the rebellion occurs and the man of lawlessness is revealed, the man doomed to destruction. 4 He will oppose and will exalt himself over everything that is called God or is worshiped, so that he sets himself up in God’s temple, proclaiming himself to be God” (emphasis added). This man will be a prominent leader, probably a world leader, who will impress many people with signs and wonders; but Paul makes it clear these signs and wonders will not be from God, but from Satan. Paul calls them “counterfeit miracles.” This could mean one of two things: Either the miracles will be faked, or else they’ll be real miracles, but “counterfeit” in the sense that they come from Satan and not from God. Either way, many people will be deceived. So Paul clearly states the rapture will not occur until after the Antichrist has been revealed. To understand the timing of what Paul is saying here, it will help us to look again at Matthew 24.
a) First there is an uptick in wars and natural disasters (verses 4-8). b) This will be accompanied by an increase in the persecution of Christians and a general increase in lawlessness. Many will fall away, but some will remain faithful and continue proclaiming the gospel to all nations (verses 9-14). c) Through this entire time, spiritual deception will grow and grow (verses 4-5, 11). d) It is after this period that Jesus says “the end will come” (verse 14). e) This is when the “abomination of desolation” will occur (verse15 and following), and Jesus tells us that this time will be a time of “great tribulation, such as has not been from the beginning of the world until now” (verse 21; see verses 15-22). Now, when we compare these events with 2 Thessalonians 2:1-12, which part sounds the most like it? I think Matthew 24:15-24 most closely resembles 2 Thessalonians 2. It stands to reason that the abomination of desolation (Matthew 24:15) will be carried out by the man of sin or Antichrist, and in fact this may be the very thing that “reveals” him (2 Thess 2:3). 2 Thessalonians 2:3 also says the rapture will not take place before “the rebellion” occurs (the King James version says “falling away” instead of rebellion). The Greek word is apostasia, from which we get the English word “apostasy.” Webster’s dictionary defines “apostasy” as a “renunciation of religious faith” or an “abandonment of a previous loyalty.” Apostasia can be translated either “falling away” or “rebellion,” in the sense of a rebellion against the faith one previously held. So 2 Thessalonians 2:3 refers to a rebellion against or a falling away from Christian faith. These words “falling away” and “rebellion” call to mind Matthew 24: 10-12, which says “many will fall away and betray one another and hate one another. And many false prophets will arise and lead many astray. And because lawlessness will be increased, the love of many will grow cold” (ESV, emphasis added). Lawlessness is pretty much the same as rebellion, so it sounds like the “rebellion” or “falling away” referred to in 2 Thessalonians 2:3 matches the time described in Matthew 24:10-12. This is further supported by the way in which 2 Thessalonians 2:6-8 talks about lawlessness being released when the Antichrist is revealed (see more on these verses below). To sum up: 2 Thessalonians 2:3 tells us the rapture will not occur until after a falling away occurs and the man of sin is revealed. So following our comparison with Matthew 24, this means the rapture will not occur until at least the events described in Matthew 24:10-12 and 15-24 have occurred. There are some who believe the rapture will take place mid-way through the tribulation, and it may very well be based on this passage in 2 Thessalonians 2. From a biblical standpoint I find that explanation a lot more accurate than a pre-trib view. However, in light of Matthew 24:29-31 I still believe a post-tribulation rapture fits the biblical evidence the best. Nevertheless, I can accept a mid-trib rapture much more easily than a pre-trib one. 6 And now you know what is holding him [i.e., the man of sin] back, so that he may be revealed at the proper time. 7 For the secret power of lawlessness is already at work; but the one who now holds it back will continue to do so till he is taken out of the way. 8 And then the lawless one will be revealed, whom the Lord Jesus will overthrow with the breath of his mouth and destroy by the splendor of his coming (explanatory note added by me). Notice the phrases “what is holding him back” in verse 6 and “the one who now holds it back will continue to do so till he is taken out of the way” in verse 7. The “him” in verse 6 refers to the man of sin, and the “it” in verse 7 is lawlessness. Those who espouse a pre-trib rapture believe this refers to the Holy Spirit who resides in believers, and they think the phrase “until he is taken out of the way” is a reference to the rapture. They believe the church will be raptured before the Antichrist appears, and as a result, the Holy Spirit will no longer be in the world. In their mind these verses prove the rapture will happen before the tribulation. However, there are several big problems with this view. The most obvious one is that Paul himself already contradicted it in verses 1-3. He specifically–and clearly–says: “Concerning the coming of our Lord Jesus Christ and our being gathered to him…don’t let anyone deceive you in any way, for that day will not come until the rebellion occurs and the man of lawlessness is revealed….” (verses 1, 3). Therefore, whoever or whatever it is that’s referred to as restraining lawlessness and the man of sin in verses 6-8, it can’t be the Holy Spirit, for that would require the rapture to occur before the man of sin is revealed, and Paul has made it clear in verses 1-3 that the rapture won’t take place until after he’s revealed. Besides, the idea of the Spirit being removed from the world is just bad theology. The Holy Spirit has been working in the world since the creation (see Genesis 1:2 where the Spirit of God hovered over the waters). The Holy Spirit didn’t just enter the world on the day of Pentecost. He entered the church on that day, but not the world, for in some sense the Holy Spirit is always working in the world to bring people to Christ. Not only that, the pre-tribulationists claim that after the rapture all the Jews are going to repent and turn to Christ. Only the Holy Spirit can lead someone to repentance and faith in Christ. How is this going to happen if the Holy Spirit has already been taken out of the world?? I have more to say about why I don’t believe in a pre-tribulation rapture, but I will save it till my next post. What do you think about my explanation of these passages and the rapture and tribulation? If you have found these posts meaningful or helpful, please consider sharing them with your friends via your social networks using the “Share” buttons below. This entry was posted in Christianity, end times, eschatology and tagged 1 Thessalonians 4, 2 thessalonians 2, end times, eschatology, Mark 13, Matthew 24, mid-trib, post-trib, pre-trib, pre-tribulation, rapture, signs of the times, tribulation on March 4, 2014 by musicman707.